The project idea was born during the Besh Barmag Bird Camp in September 2016, where some friends and I did migration counts at the recently discovered Besh Barmag bird migration bottleneck in Azerbaijan (HEISS & GAUGER 2011, HEISS 2013). The Besh Barmag Bird Camp is in its current state a loose gathering of nature conservation organizations, ornithologist, researchers, students, tour operators and individuals all attracted by the bird migration site and its outstanding importance. The site has a great potential for promoting interest in birds, academic as well as popular learning, nature awareness and inspiring meetings between young people. The overall objective of this initiative is to create a facility like a bird observatory and visitors centre and to safeguard this this amazing place of bird migration. During the Besh Barmag Bird Camp I met Elchin Sultanov, director of the Azerbaijan Ornithological Society (AOS). 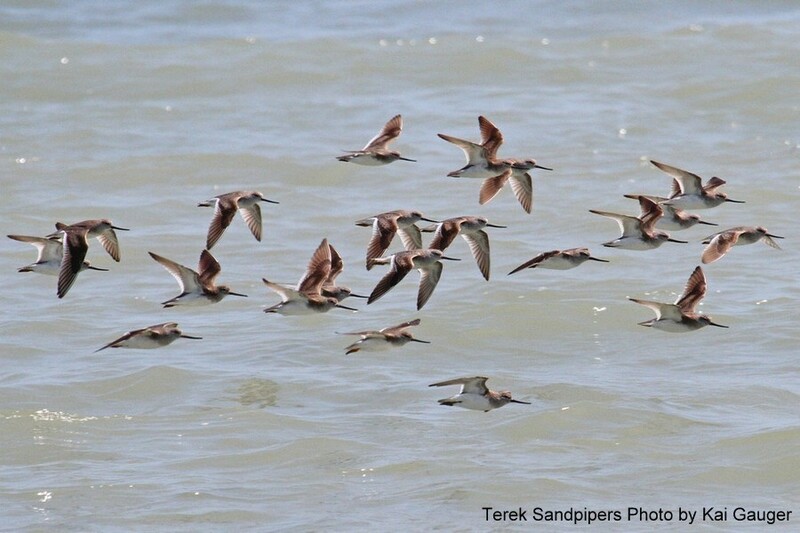 We speculated about some possibilities to do research on waders and to contribute to their conservation in Azerbaijan. He came up with the idea to conduct a research project on waders in Gyzylagach State Reserve, the last comprehensive counts of waders of this area are from 1990. I was surprised that the latest data of such an important area are so outdated. The western Caspian coast of Azerbaijan, especially the wetlands are important stop-over sites for migrating waders (SHUBIN 1998). The area with the highest concentration of waders is Gyzylagach State Reserve in Azerbaijan (SHUBIN 1998). Despite the importance of this area as a stop-over site it is unfortunately under-surveyed (SHUBIN 1998), especially during autumn migration period of waders (July- September). Since the last counts from 1990, 53% of wader species of the West Asia/ East Africa flyway have negative population trends (BOERE et al. 2006). A reasonable measure for the conservation of waders on this flyway is to provide recent data from this major-stop over site and subsequently to assess if the negative trends are also evident in this area. Gyzylagach has a high international importance as a stop-over site. Another visitor of the area is the Black-tailed Godwit Limosa limosa of the eastern population. Due to negative population trends and lack of knowledge of migration routes and stop-over sites of this population (JENSEN et al. 2008) it would be beneficial to collect data for this part of the population. Particularly for this population it is presumed that it is rapidly declining (AEWA n.y.) additionally there is also few information available so the assessment of size and trends is very difficult (Brown et al. 2014). Thus it is possible that this population is in greater risk than we assume. 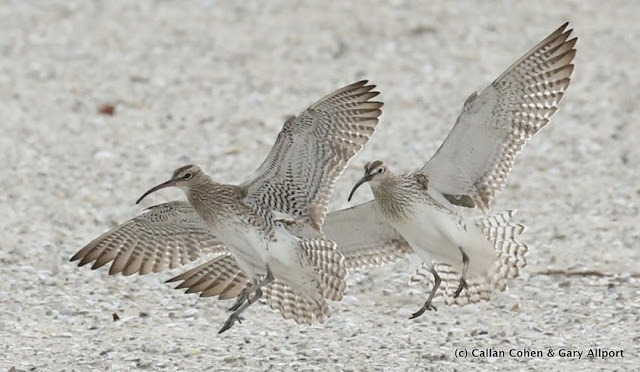 Another target species of this project is the Steppe Whimbrel, there are several questions about species limits, taxonomy, distribution and numbers of Steppe Whimbrels. Sightings and especially satellite tracking of individuals would help to get distribution and migration data to improve the knowledge and resulting that, the conservation of this subspecies. The Convention on Migratory Species estimated the global population at 100 birds or fewer (BROWN et al. 2014). So it’s high time to take action. The research on these two species could be particularly useful for the West Asia/ East Africa flyway, due to the high degree of uncertainty in the assessment of threats of the breeding populations of Black-tailed Godwits and Steppe Whimbrels in this area (PEARCE-HIGGINS et al. 2017). 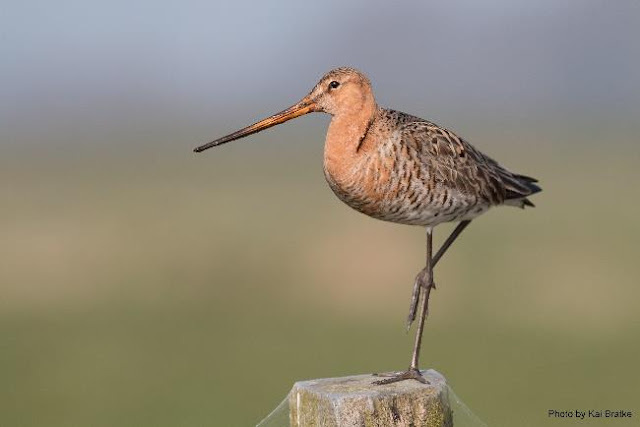 The first objective of this project is to reveal with the use of satellite telemetry wintering and breeding grounds and also migration routes of the eastern population of Black-tailed Godwits. This research contributes directly to at least two of the conservation priorities of the AEWA International Single Species Action Plan for the Conservation of the Black-tailed Godwit (JENSEN et al. 2008). So it has a direct conservation output for this species. Furthermore it would be possible, that with the use of the acquired telemetry data further research projects could be established to understand and protect the eastern population of Black-tailed Godwit in a better way. It would be also possible to identify and protect unknown important stop-over or wintering sites, which is also part of the conservation priorities of the AEWA Action Plan. As a second objective, I want to use satellite telemetry to provide data about distribution, breeding- and wintering grounds of Steppe Whimbrels. The collected data could be a further step to protect migration routes, as well as breeding- and wintering sites. This contributes to two of the conservation priorities of the Conservation Statements for Numeniini species (BROWN et al. 2014). The third objective is to conduct several counts of resting waders in the Gyzylagach State Reserve, to bring the 20 year old data up to date and compare the amount and composition of species with the old data with regard to the global or flyway population trends. Furthermore acquire additional data of possible changes in species composition and data about small waders, which were due to former technical circumstances, maybe overlooked or unidentified by Shubin (1998). The fourth objective I selected is the raise of environmental awareness for local people. It is not a direct conservation output for the species but surely the most rewarding way to protect an area or species. With this project interested local people, enthusiastic students and members of the Azerbaijan Ornithological Society (AOS) are invited to join the counts and the trapping of birds to introduce them in bird- and nature conservation. This provide the possibility of long-term conservation efforts for birds and their habitats in this region and show them that Azerbaijan has international importance for migrating birds and in particular the Gyzylagach State Reserve. During these events it is also planned to introduce the Azerbaijan Ornithological Society (AOS) in satellite telemetry as a new method for them of doing research on birds in this area. The project should cover nearly the whole autumn migration period of waders from July until September 2017. 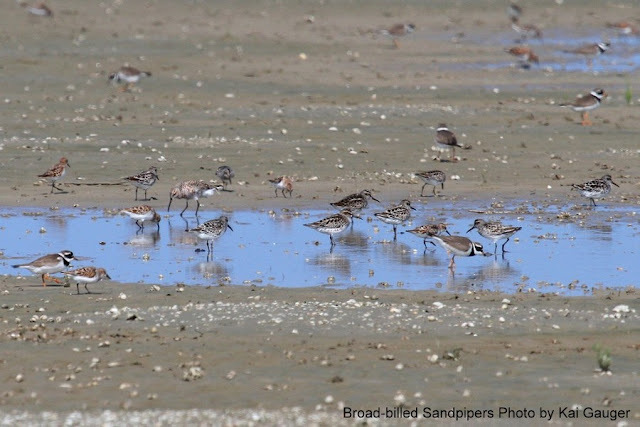 This project covers several conservation approaches from standard wader counts over environmental education and introduction of new methods to species specific research tasks with direct conservation output. Your support will help to provide recent data from this under-surveyed area of the Western Palaearctic. You can contribute to the conservation of these charismatic species and even adopt a Black-tailed Godwit or Steppe Whimbrel. The waders and I are deeply grateful!